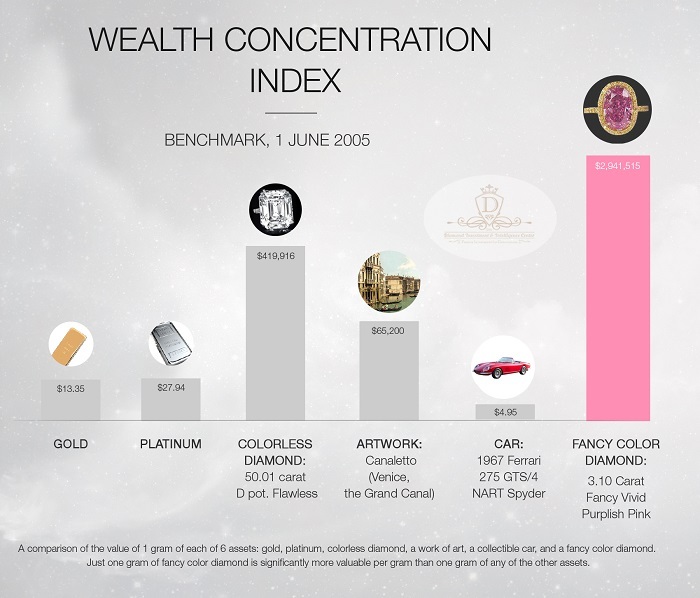 Since 2003, every 2 years we have reviewed the strength of wealth concentration in fancy color diamonds. 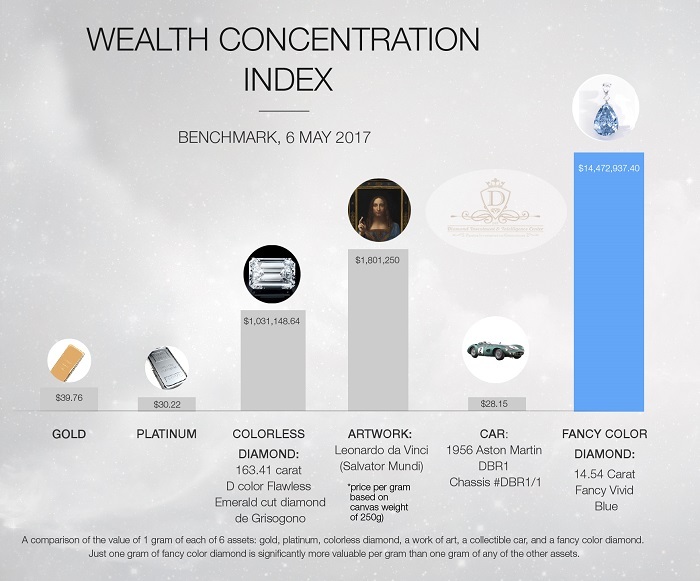 Many assets have wealth concentration, and in each analysis, we compared fancy color diamonds’ wealth concentration against theirs. In simple words, wealth concentration is the ability to hold the greatest wealth value possible in the smallest possible “volume” of weight. This concept brings me back to my college physics class where the teacher asked the question: “Which has a higher weight concentration, a pound of feather or a pound of rocks?” To some, the answer wasn’t obvious! Investors have always looked at gold as a major asset to include in an investment portfolio. It seems natural to do so. Some add platinum. Over the last several decades, investors have added alternative assets like works of art, and in the last several years, even diamonds. 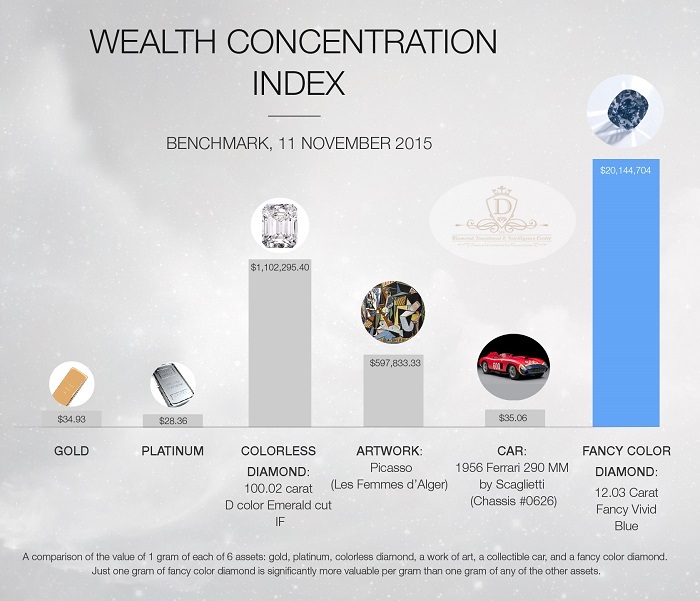 This intrigued me and I decided to analyze in depth how these assets compare to one another in terms of wealth concentration. It is easy to deduce which is the most profitable, although since these differ so greatly, the answer must be analyzed through the lens of their different types of strategies. What I wondered was which exhibits the most concentration of value. I published a ”Wealth Stealth/ Wealth Concentration” article covering 5 major real assets and their degrees of wealth concentration. 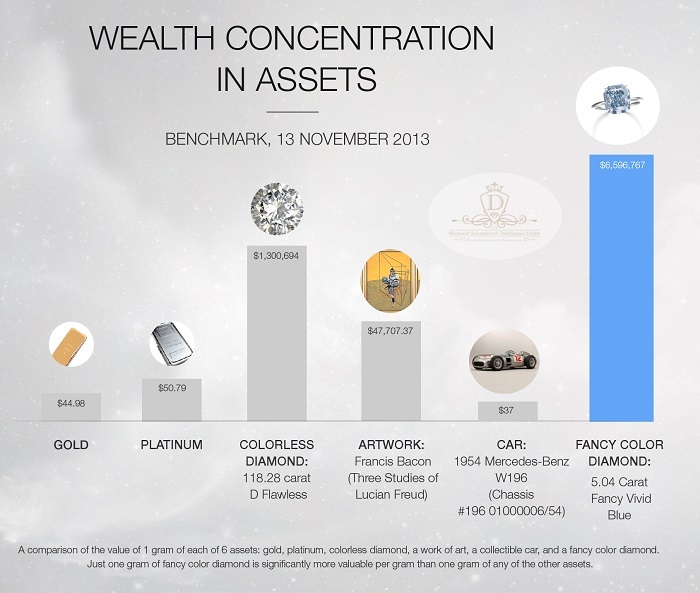 The five real assets that I chose are gold, platinum, colorless diamonds, fancy color diamonds and works of art. All 5 have similar traits when it comes to privacy, profitability, and portability, so it made sense to examine them on a new dimension which I have not seen explored at all elsewhere. Recently, investors have also been adding real assets like collectible cars, spirits such as wine and whiskey, and other collectible items to their portfolios and have gone beyond the basic asset combinations which were most common. 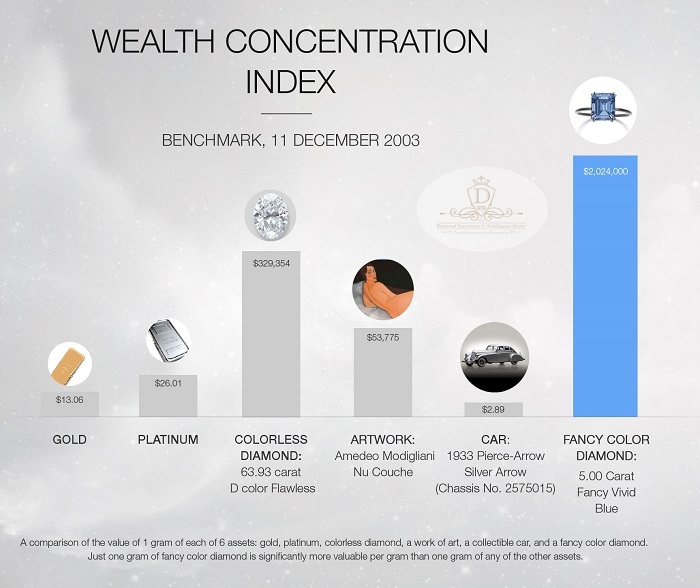 In order to compare fancy color diamonds to other collectible items, we chose ones that meet the same basic criteria such as privacy and portability, and most importantly, high value concentration of that asset in the same measurement as all our other real assets: dollars per gram. We have decided to add the hot collectible cars category to our Wealth Concentration analysis as it meets some of the conditions. As of 2018, collectible cars will be a permanent member of the wealth stealth concentration Index. 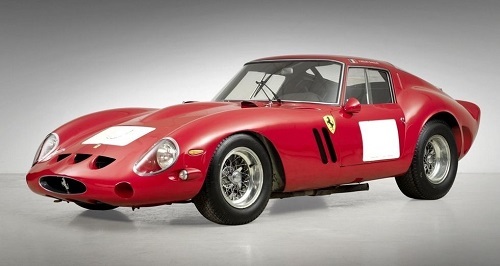 As of the date of this publishing, the most expensive collective car that has ever been sold at auction is the 1962 Ferrari 250 GTO Berlinetta, Chassis #3851GT. It was sold by Bonham’s Auction house on August 14, 2014. The sale price was a staggering $38,115,000 including the “juice” paid by the buyer and rightfully earned by Bonham’s. Let’s begin our review of the collectible car sector against the other 5 assets in our Wealth Stealth analyses. The data that I used is publicly available from auction houses, and I researched all of the auction house records of the respective years of the data analyses in order to find the most expensive car that was sold at that point in time. Based upon the approximate weight of a car, I was able to divide the price by the weight in order to determine each car’s value per gram. 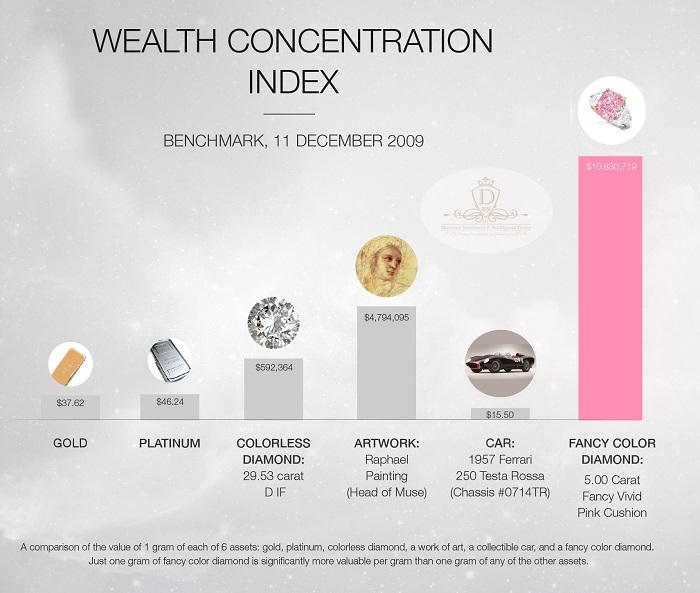 Once I found this information, I was able to lay it out next to the value per gram of the other assets: gold, platinum, the most expensive colorless diamond sold that year, the most expensive work of art sold that year, and the most expensive fancy color diamond sold that year. In 2003, the most expensive collectible car that was sold at auction was the 1933 Pierce-Arrow Silver Arrow (Chassis No. 2575015). It was sold by RM Auctions Sotheby’s for $2,310,000. Based on its approximate weight of 800 kg, the wealth concentration ratio is $2.89 per gram. In 2005, the most expensive collectible car that was sold at auction was the 1967 Ferrari 275 GTS/4 NART Spyder. It was sold by Gooding & Company on August 21, 2005 for $3,960,000. At a weight of 800kg, the wealth concentration ratio is $4.95 per gram. 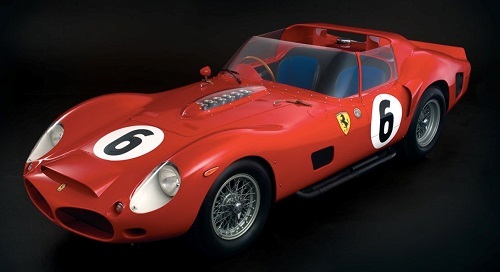 The most expensive collectible car that was sold at auction in 2007 was the 1962 Ferrari 330 TRI/LM Spider, Chassis #08. It was sold on May 20, 2007 and was sold by RM Auctions Sotheby’s. The sale price was $9,281,250. Based on a weight of 820 kg, the wealth concentration ratio is $11.32 per gram. 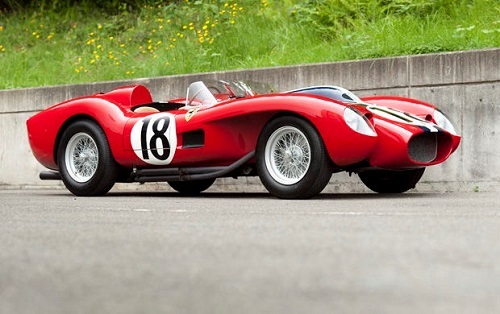 The most expensive collectible car that was sold at auction in 2009 was the 1957 Ferrari 250 Testa Rossa, Chassis #0714TR. It was sold by RM auctions on May 17, 2009 for $12,402,500. The car weighs approximately 800kg so the wealth concentration ratio is $15.5 per gram. The most expensive collectible car that was sold at auction in 2011 was also a 1957 Ferrari 250 Testa Rossa, Chassis #0666TR. It was sold by Gooding & Company on August 21, 2011 for $16,390,000. The car weighs approximately 800kg so the wealth concentration ratio is $20.49 per gram. 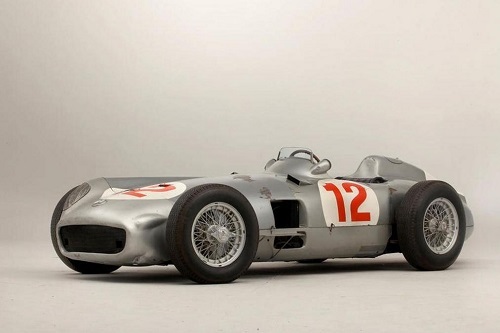 The most expensive collectible car sold at auction in 2013 was the 1954 Mercedes-Benz W196, Chassis #196 01000006/54. It was sold by Bonham’s on July 12, 2013 for $29,600,000. The car weighs around 800kg (estimated) so the wealth concentration ratio is $37 per gram. 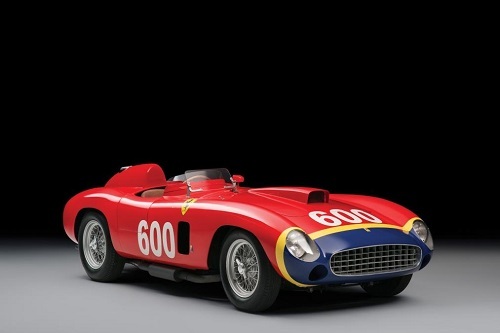 The most expensive collectible car hat was sold at auction in 2015 was the 1956 Ferrari 290 MM by Scaglietti, Chassis #0626. It was sold by RM Sotheby’s on December 10, 2015 for $28,050,000. The car weighs about 800kg (estimated) so the wealth concentration is $35.06 per gram. 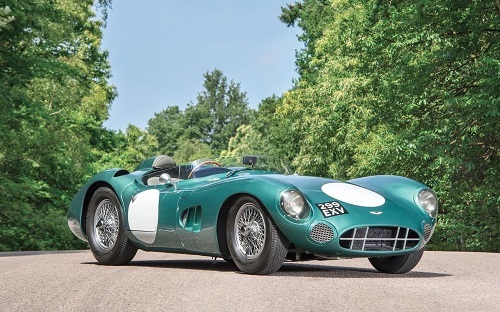 The most expensive collective car that was sold at auction in 2017 was the 1956 Aston Martin DBR1, Chassis #DBR1/1. It was sold by RM Sotheby’s on August 19, 2017 for $22,550,000. The car weighs around 801kg, so the wealth concentration is $28.15 per gram. 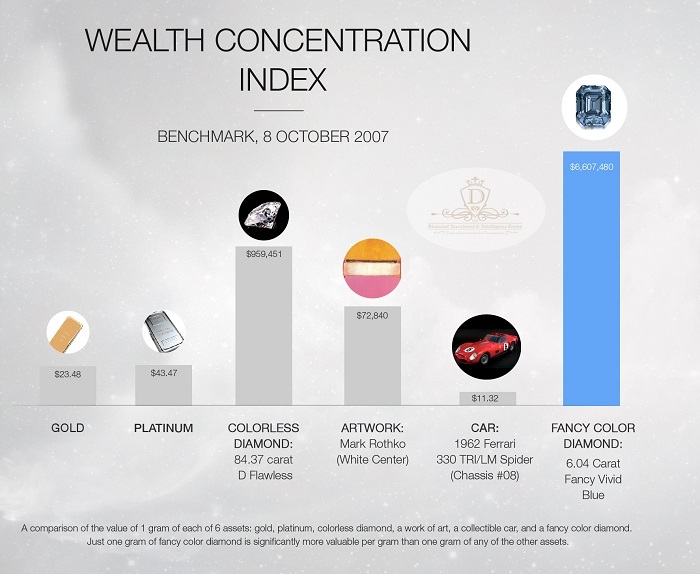 This was a very fun exercise in calculating wealth, value, and asset favorability even though it was obvious that due to weight, cars would never surpass fancy color diamonds in terms of wealth concentration. Nevertheless, many investors have been shifting some serious capital into this asset class in the last few short years, and we have seen valuation quickly increase. Of course, wealth concentration is not the only criterion that is important when evaluating a physical asset. Collectible cars, just like artwork and diamonds, can be transported although artwork can be transported more easily and diamonds are even easier. Cars also tend to attract highly motivated buyers who are willing to pay top dollar for the best cars, just like with art and with diamonds, which ultimately leads to very high ROI. As such, we intend to keep this asset class permanently on our wealth stealth concentration review & Index. We are even considering adding collectible watches to the list, seeing as how they exhibit the characteristics mentioned above as well. 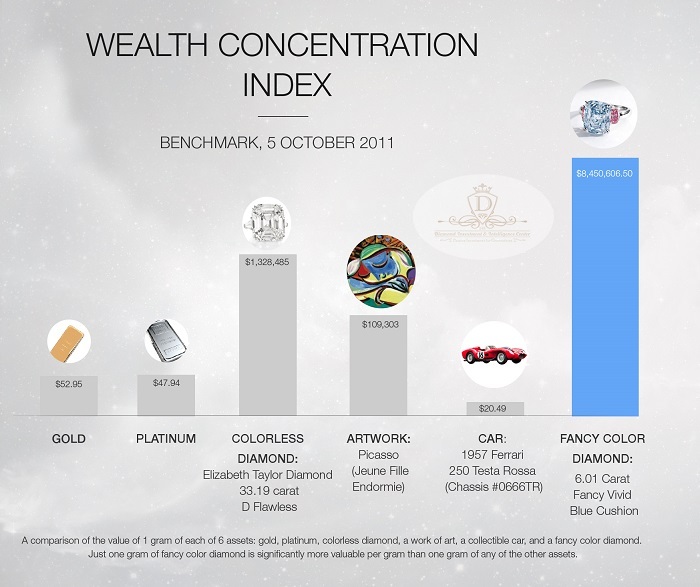 Got any questions about investing in cars, the profitability of doing so, how cars compare to diamonds as investments, about wealth concentration, or about our calculations? Ask us in the comments!